Summer heat continues to blaze even though the calendar indicates the dog days of summer have officially ended. 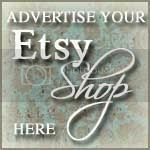 Perhaps showing some Etsy dog love will persuade Mother Nature to bring in the cool breezes of summer's close. 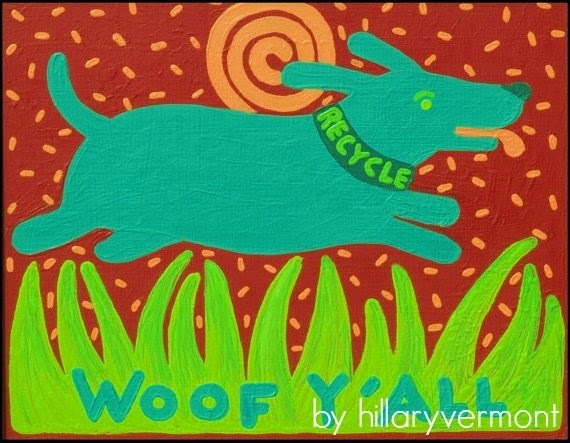 Add a splash of color and whimsy to any room in the house with this playful pooch by hillaryvermont. 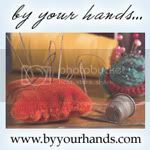 Purchases from this artist also help animals in need with a donation to Animal Humane. 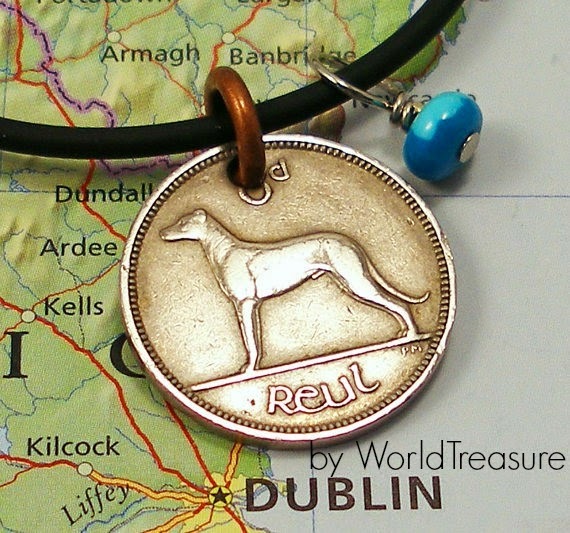 Dogs can be found on currency from around the world. Coins up-cycled into jewelry make for elegant souvenirs of journeys abroad or for everyday favorite wear. Pick up this handsome hound at WorldTreasure. 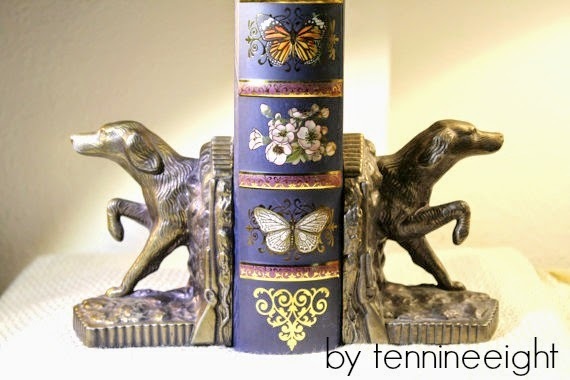 Books stand front and center anchored between vintage dog bookends. Score this pair from tennineeight. 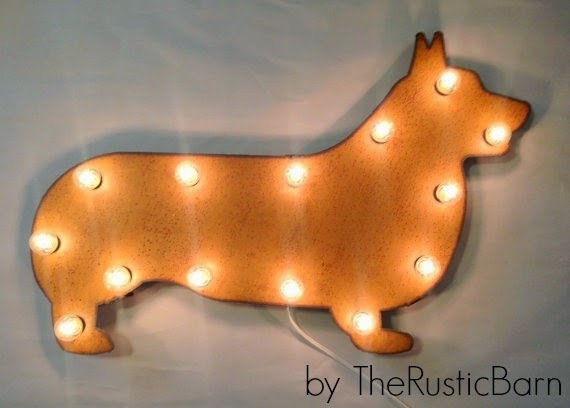 Shed whimsical light with illuminated dog shaped metal work from TheRusticBarn. This Etsy artist up-cycles old metal into perfect country-chic décor. Keep in touch with friends and family with stylish notecards. 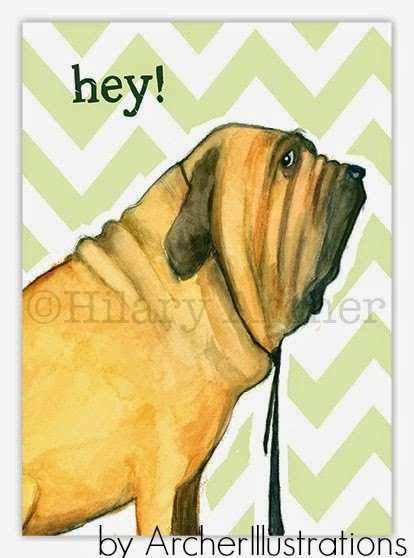 ArcherIllustrations offers a large selection of adorable dogs printed on recycled paper cards. For more canine inspired pieces search recycled dog on Etsy.